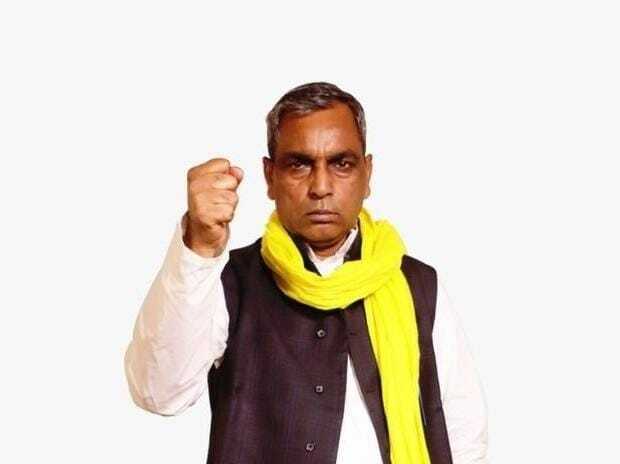 Setting aside all speculations, Om Prakash Rajbhar of Suheldeo Bhartiya Samaj Party (SBSP) has parted ways with the Bharatiya Janata Party (BJP). On Tuesday, it decided to go it alone in the Lok Sabha elections and announced a list of its 39 candidates, including those it has fielded against Prime Minister Narendra Modi in Varanasi and Union Home Minister Rajnath Singh in Lucknow. SBSP President Rajbhar is an influential leader in UP, coming from the Bhar community, and has four legislators in the state Assembly. The SBSP had allied with the BJP before the 2017 UP Assembly elections and Rajbhar had later been made a minister in the state Cabinet led by Chief Minister Yogi Adityanath. For the ongoing Lok Sabha polls, the SBSP had demanded four seats of Salempur, Ghosi, Balia and Ghazipur from the BJP. After Rajbhar’s several rounds of discussions with BJP President Amit Shah, however, it emerged that the BJP was willing to spare only one seat — either Ghosi or Ballia — and that for only Rajbhar or his son. Adamant, Rajbahr even tried to negotiate with the Samajwadi Party-Bahujan Samaj Party (SP-BSP) alliance and the Congress party, but to no avail. On Sunday, having found no favour with any of these alliances, Rajbhar had approached Adityanath at his residence to submit his resignation, but he could not meet the CM. On Monday, Rajbhar called a meeting of his supporters in Ballia and discussed his party’s prospects before finalising the names of candidates. In the list of 39 candidates that he announced at a press conference in the state capital of Lucknow on Tuesday, Rajbhar also said that he had asked his party’s members to resign from various corporations and commissions. It should be noted that a day before the election notification the BJP had included the names of eight SBSP members in various corporations and commissions to appease the party.